This Karen Gillan interview came as a surprise. While on set of Guardians of the Galaxy Vol. 2, we weren’t totally sure who would be available and she wasn’t even on our list. 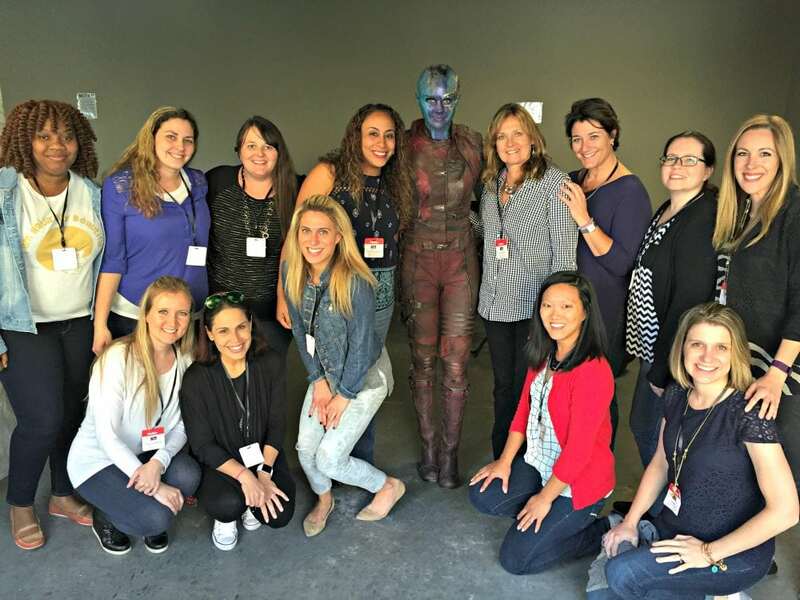 So, when Nebula walked in, we almost fell out of our seats! When in full costume and makeup she looks JUST like how she does on screen. It’s so cool! It was hysterical to see her whip around the corner and into the room and then be all smiles. As the misunderstood and angry sister in the movie, we don’t get to see what the real Karen Gillan is like at all. 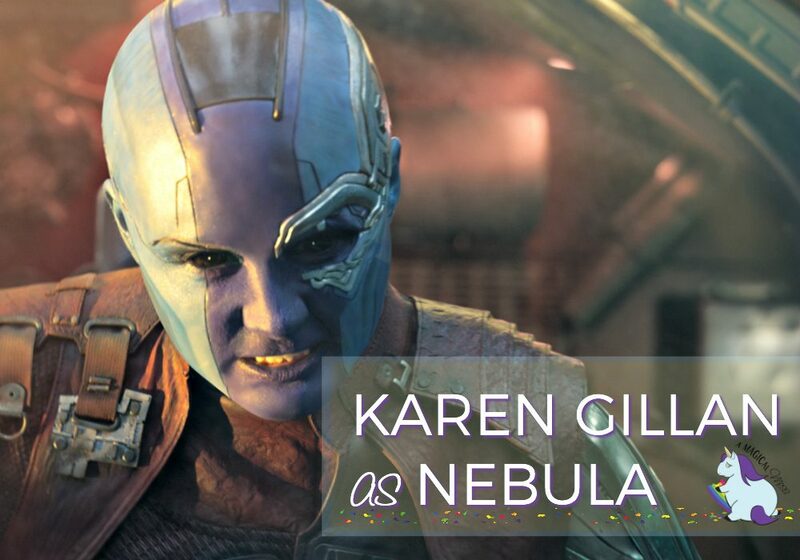 It was such a contradiction to see her as Nebula, smiling and being so, super sweet. Her voice is adorable with her Scottish accent, and her demeanor is that of an excited, bubbly girl. 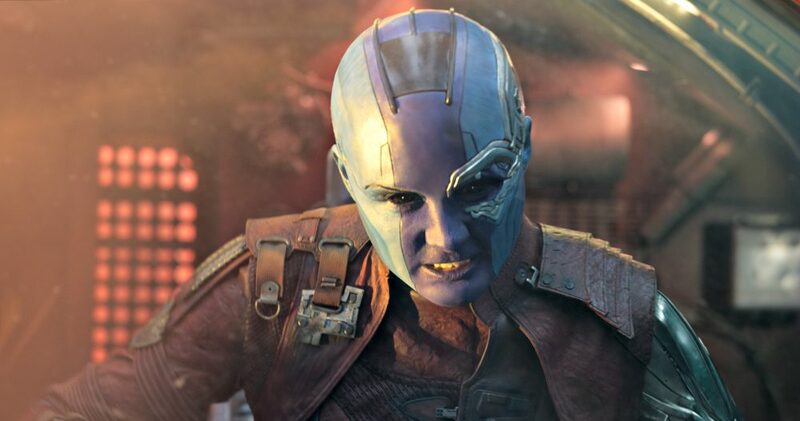 How has Nebula’s relationship with Gamora changed in this film? Will you talk about your costume a little bit? Is it comfortable? How long does it take to put your makeup and everything on? You have a very physical role. What do you do to prepare for that as far as your workouts? What do you do to pass the time during the makeup process? What was your first reaction when you read the script for Vol 2? Are we going to see a softer side to your character? How do you get into character because you seem very bubbly and nice? So, how do you go to that place? What initially attracted you to this role? When you got to see the first film and see how it ended were you satisfied? How quickly did you find out about part two? Regarding your makeup, is this a headpiece over here? Do they reuse the same pieces? Do you do a lot of your own stunts? We’ve heard a couple of you say you’re like a family on set. Can you tell us about the laughter and fun behind the scenes? Did you read any of the comics? 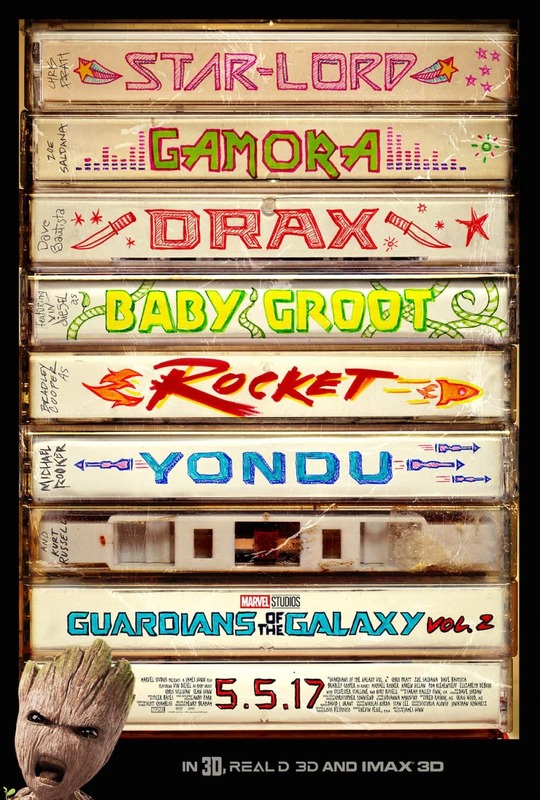 Besides your character, which is your favorite Guardians of the Galaxy character? Guardians of the Galaxy Vol. 2 is in theaters everywhere May 5th! Get your tickets!